This adorable bright colored dragon is Knip. She’s a jointed dragon made for week 10 of the 2016 Polymer Clay Challenge. You can adopt her here. While it doesn’t look like a lot, this little bundle of polymer clay is a perfectly coordinated palette. Learn how to make your own here. This is one of my stash drawers filled with all kinds of brass & metal fun. Most of these goodies I have purchase at B’Sue Boutiques. Be sure you check her out. When I make new colors of clay, I always make samples and place them in my Big Book of Clay. Learn how to make your own here. There are few things as fun as sipping hot tea and reading The Polymer Arts before bed. Get your copy today. Parker’s Clay Tribe March Swap theme is “Butterflies.” Learn to make your own here with this FREE Polymer Clay Butterfly Tutorial. This adorable dragon is Blinkyn. He’s a jointed dragon made for week 11 of the 2016 Polymer Clay Challenge. You can adopt him here. Another sneak peak into one of my stash drawers filled with all kinds of Steampunk fun. Most of these goodies I have also purchase at B’Sue Boutiques. This adorable little duck in her umbrella was the most recent project sent to Parker’s Clayful Tutorials Club members. You can get the project here if you’re not a member. My favorite little tool set. This little set of drill bits is great for mokume gane, but you’ll see another use for it here shortly. 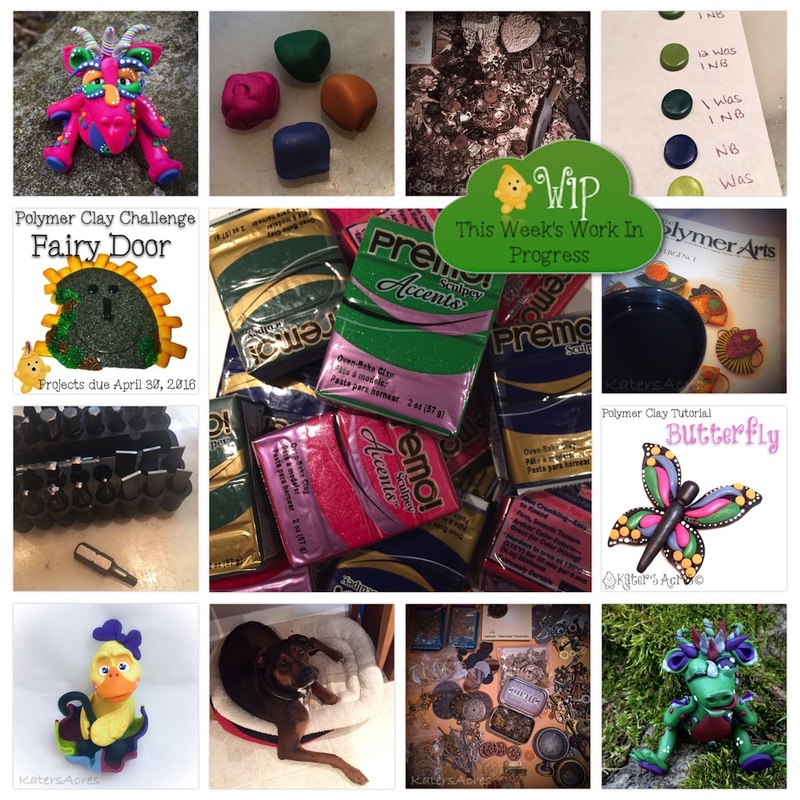 Have you heard about Parker’s Clay Tribe, polymer clay fairy door challenge? If not, come and read the post and join us! Last but not least, front and center, I had a big polymer clay haul this past week. YES! Bring on the fun!